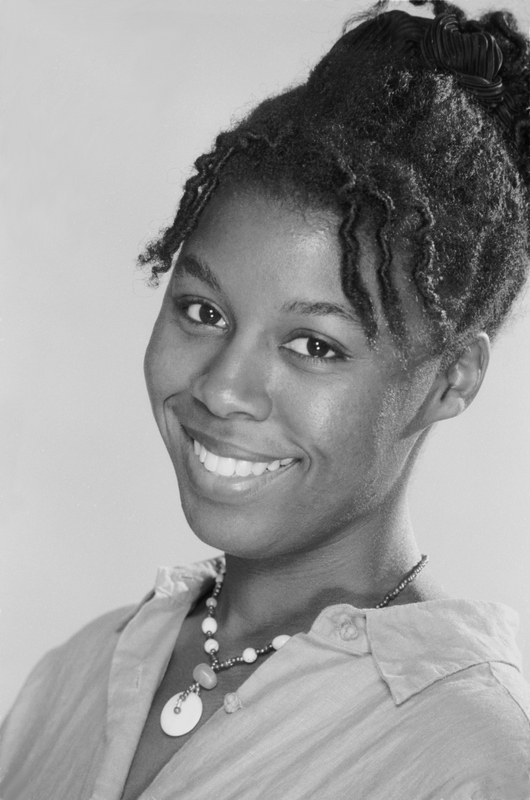 Sherri L. Smith has written several award-winning novels for young adults. Flygirl (2010) won the California Book Award, was a YALSA Best Book for Young Adults, and has received fourteen State Award nominations. She lives near Los Angeles. For more information, visit her website at http://www.sherrilsmith.com/index.htm or her blog, The Middle Hundred, at http://middlehundred.blogspot.com/. She can be found on Twitter @Sherri_L_Smith. My best piece of advice to any new author is: shut up and do it. A lot of people talk about writing books. Most of them are all (tap forehead) “up here.” A lot of people do actually write. They start a million projects, but just don’t finish them. That’s difference between a writer and an author. Writers write. Authors write, rewrite and publish. I have to fall back on the favorite book of my childhood, CHARLOTTE’S WEB by E.B.White. It’s heartbreaking. It’s about life and death and friendship and all of the great themes of literature, in a simple story with illustrations and some terrific, radiant, humble pig. What’s not to love? Where did you get the idea for Orleans? My mother was a Katrina survivor. New Orleans was her hometown and she weathered the storm there, and was unable to leave the city for a week. While we were trying to get her out, I read an article about local gangs policing their neighborhoods after the actual police had run off. That sparked the idea of tribes. 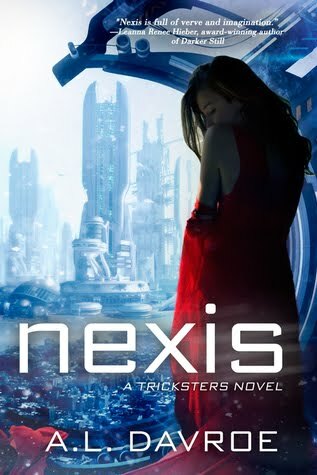 A few weeks later, Fen’s voice popped into my head, and we were off to the races. Did you hit any snags while writing Orleans? What were they and how did you fix them? Which one of the characters in Orleans is your favorite and why? Fen. Hands down. I love her. She’s suffered so much and just keeps going. I admire that sort of perseverance. She thinks love is a weakness because it comes with a high price, especially in her world, but her journey toward be willing to pay whatever is asked is huge. It makes her even stronger. That’s cool. I started writing when I was in elementary school, and tried my hand at publishing short stories to no avail. It wasn’t until I was in my late 20s that I finally buckled down and wrote my first novel. Prior, I worked for a few years at Disney TV Animation in story development, which increased my storytelling tool kit exponentially. During that time, a friend gave me The Artist’s Way by Julia Cameron. It’s like a 12-step program for frustrated creatives. Doing the exercise in that book made me realize I wanted to write novels. Then I took a trip to Alaska, started journaling my time there, and my first book was born. After I left Disney, I wrote Lucy the Giant, set partially in some of the towns I visited. Once I figured out how to actually write a novel, I kept at it. While it hasn’t always been easy, I love it and I haven’t looked back. I’m working on an historical fantasy inspired by E.T.A. Hoffman’s The Nutcracker and the Mouse King. The ballet and the original story were favorites of mine as a kid. In fact, my mom took me to see Baryshnikov dance the role of the Nutcracker at the Kennedy Center in Washington, DC. Goodness, I must have been only five years old, but it stuck with me. And then I had an incredibly mean piano teacher (who was probably only mean in the mind of a little kid) who had the book, illustrated beautifully and full of story moments that don’t exist in the ballet. It blew my mind. Hopefully my version of events will do the same for some other kid stuck waiting her turn at the ivory keys. How did you go about writing a novel set in a devastated New Orleans? And why New Orleans? My mom grew up in New Orleans and we visited often as kids. It’s dear to me for that reason. When Katrina hit, it devastated my mother’s city and us as a family. This is a very personal story for me. So I started with my own ideas, bought a bunch of maps of the city, and did research on the flood patterns caused by Katrina. There’s a wealth of information about the storms online from NOAA, the Times-Picayune, etc. From there I extrapolated and, as they say, I made stuff up! A heroine hampered with a baby isn’t very common in YA literature. Did you find that it was difficult trying to write with an infant in tow? The hardest part about writing the baby was remembering to take care of her. In earlier drafts, Baby Girl was more of a prop than a person because I was focusing on Fen’s story. As the writing progressed, I had to go back and think, “Did I feed the baby? Would she cry here? When’s the last time I changed her diaper?” It was interesting. I hope I struck a believable balance. I mean, if I detailed every diaper, who would want to read it? You’ve done some very interesting jobs in your life. What was your favorite job ever and why? I have worked in some very cool places—a comic book company, movies, animation and even a monster effects company, but I have to say my favorite job is writing. Nowhere else can you put on as many hats as you do when you write. Well, maybe if you are an actor. Every day is new. Every project you learn something. And grow as a writer with every word written. How awesome is that? When I visit a school, or teach a class, my enthusiasm shows, and I find that really self-affirming. This is what I love and I will do it always. 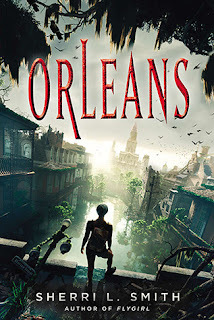 I have an ARC that I'm giving away and Sherri is giving away an ARC, so there are TWO winners of an ARC of ORLEANS this week! Orleans: First came the storms. Thanks, A.L.! I really enjoyed these questions. You gave me a lot to think about! Thanks for this giveaway! I have been wanting to read this book! Thanks! I follow this blog! I enjoyed learning about Sherri and Orleans. I look forward to reading her book. I adored Charlotte's Web too.